Tina & Her Pony met in Asheville, N.C. in 2009. Tina Collins (tenor banjo, tenor ukulele, guitar, vocals) and Quetzal Jordan (cello, guitar, vocals) spent two years holed up in the high desert mountain town of Taos, New Mexico, making music and friends, and becoming one of the iconic artist colony’s most beloved performing acts. Tina and Her Pony released their full length, self-titled debut album in March 2012. The album was mixed and mastered in Oakland, Calif. with Myles Boisen (The Tigerlilies; Kronos Quartet) and features trumpeter Chris Grady (also featured on Tom Waits’ Mule Variations). After an 18 month album release tour spanning the United States and Canada, they established a new home base in Asheville, NC and began recording their forthcoming album, Champion at Echo Mountain Recording studio. Champion draws inspiration from and meditates on dreams, the subconscious, and death. The album will be released November 3rd 2017. Collins and Jordan are classically trained musicians who first toured together as part of Over Under Yonder, a five piece band that played songs from Collins’ debut album Journey Onward. Collins composed most of the songs that appear on Journey Onward as she thru-hiked from Maine to Georgia on the Appalachian Trail in 2006. Collins and Jordan’s songwriting incorporates complexities in harmony and arrangement that queer the american folk tradition. 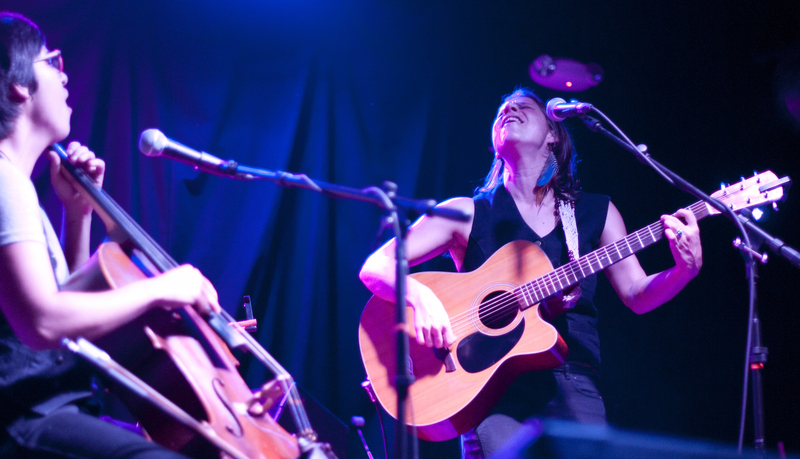 Their unique sound draws inspiration from artists such as Nickel Creek, Sarah Jarosz, Gillian Welch and Crooked Still.